Unbelievable how she’s been photographed so many times flipping the finger! Nothing ladylike about this one! Harry, what have you done? You would have been better off staying single. Nobody needed you to produce an heir and a spare. I wonder if she’s being paid for this. 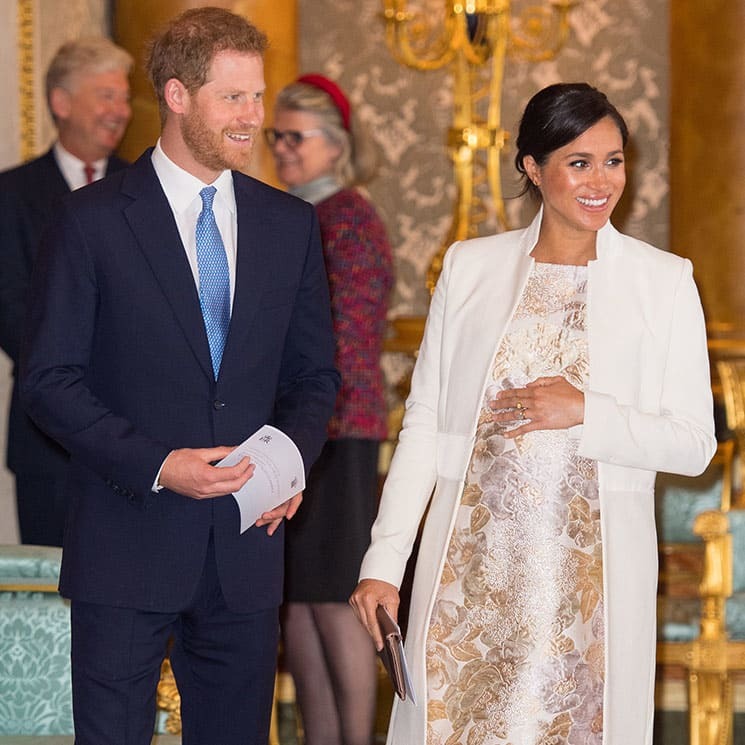 And while she's still got a few weeks to go until she welcomes the newest addition to the Royal family (by the way we are beyond excited) we've rounded up her ten best maternity looks so far, with the help of Femail's Fashion Finder Editor and resident Meghan style expert, Caroline Parr. *Meghan Markle is in no way associated with Matalan. And so what? Another article pointing out the obviously over spending and operating outside all royal behavior. 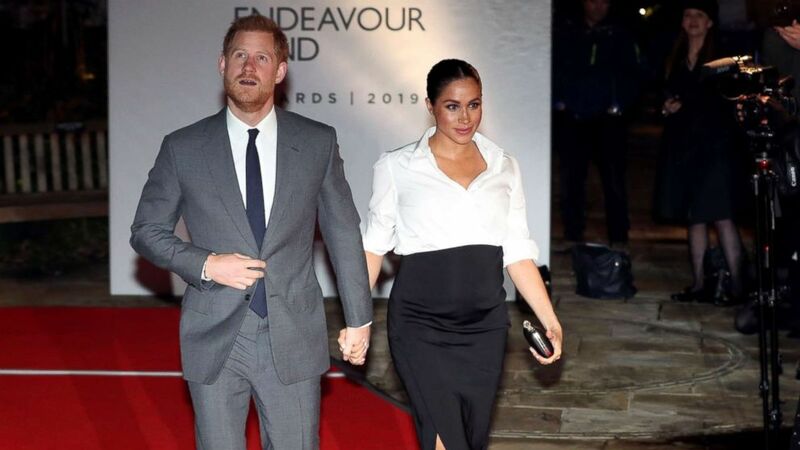 And the Duchess of Sussex, 37, has certainly made sure her bump was well dressed throughout her first pregnancy, with her maternity outfits totting up to an eye-watering £514,000 ($675,000). 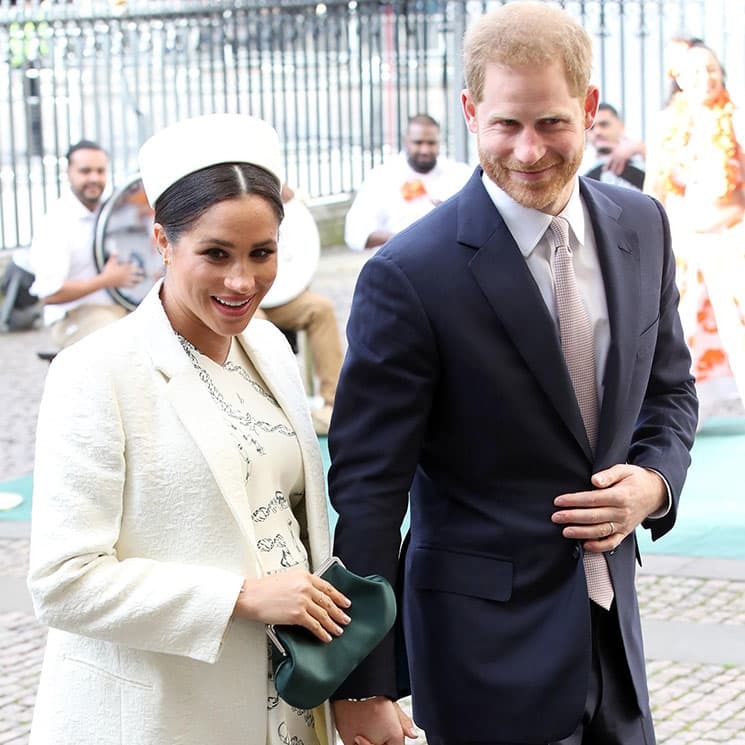 Researchers from fashion comparison website lovethesales.com totted up the cost of 75 outfits Meghan has worn between early in her pregnancy in August to her final engagement before maternity leave at Westminster Abbey last week. The calculations include estimates for some of the bespoke creations she has worn over recent months but not all, meaning the actual value could be much higher. Items not estimated include the black one shoulder gown she wore to the British Fashion Awards or the green Erdem coat she wore for a visit to Canada House last week. This is half a mil in 7 months for maternity clothes, another half a mil for a baby shower weekend, and another million in the months up to the wedding, quarter of a mil in the first two months. How much does this add up to..
^^^ What is most remarkable is that this article is a paid ad. This comment is spot on: "It takes a certain talent to look so cheap in such expensive clothes." She has no sense of style and no clue how to dress. She automatically goes for the most expensive labels, regardless of how appropriate they are for the occasion or whether she could find cheaper stuff for similar. She is dressing like she has no budget. 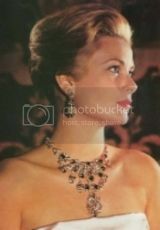 ^ It takes a certain talent to look so cheap in such expensive clothes. Spot on. The problem is not only in the price tag of the outfits. The problem is that things don't look good on her. She simply doesn't dress, doesn't know how to dress and even if someone else dresses her, she manager with her self-aggrandized ego to bring 'her' spin to the outfit just so that she can boast that she's a rule breaker, glass ceiling shutterer, trend setter ... fool with no common sense and no style. Her style ranges from bland to genuinely inappropriate and tacky. The second picture — Lord have mercy! Does she not have a mirror? What ridiculous bs is this? According to royal finance expert David McClure, the Duchesses fund their extravagant clothing collection from a yearly £5million fund donated to them by Prince Charles. The princely sum comes from the Prince of Wales' official household budget, funded by the Duchy of Cornwall estate, reports Yahoo's Royal Box. 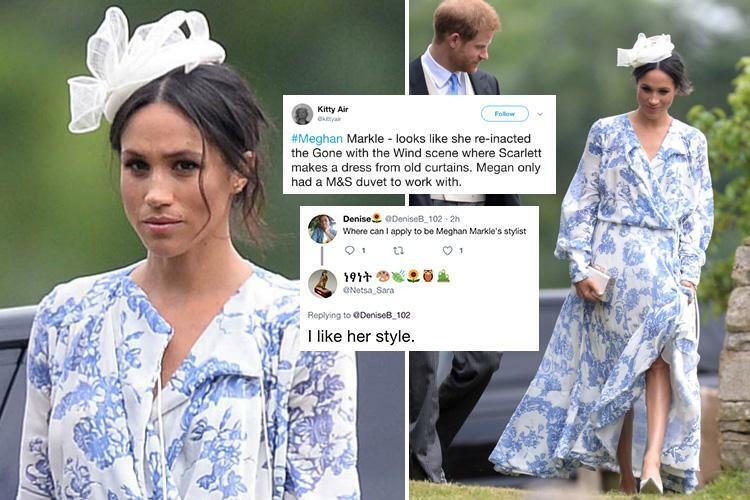 Mr McClure explained: 'The public doesn't pay a penny for the clothes of Meghan and Kate. He added that we don't know what percentage of that figure is spent on clothes as it's treated as a lump sum. We previously reported that Meghan spent £431,000 on new clothing in the year she became a duchess - compared to Kate's £55k in 2011. 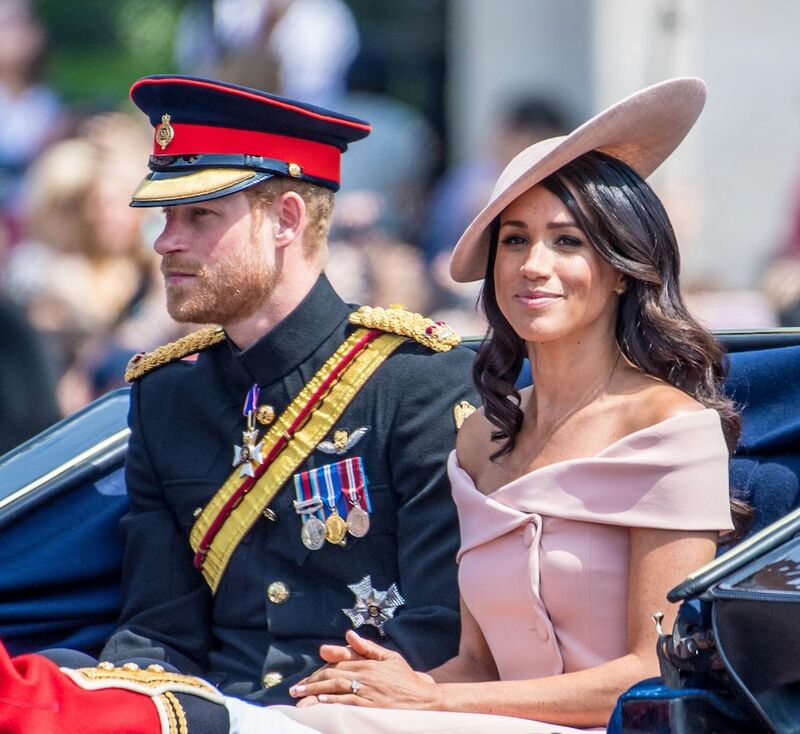 A study by UFO No More revealed the Duchess of Sussex debuted 248 new items in the year she tied the knot to Prince Harry, in instances where the retail price could be identified. It's perhaps unsurprising that Meghan lavished more cash on clothes than Kate. Having enjoyed a successful acting career prior to joining The Firm, Meghan was estimated to have been worth around £3.7million. One of the habits Meghan will have had to adapt to when becoming a fully-fledged member of the Royal Family is no longer being able to carry cash around with her. According to Mr McClure, senior royals never take money out with them on official engagements. But this isn't new. We've known for a very long time (since 2011 in fact) that the money for Kate and now Meghan comes from Duchy money, given by Charles to his sons to underpin their families way of life and royal duties. It's been dicussed here many times. And why does a third rate actress get 10 times more 'allowance' for outfits than the two future queen consorts. Just curious. Did by any chance MM believe too much in herself..
Maybe because they know she’s only temporary? ^What’s she kissing up for? Well she debuted covers on Vanity Fair named after the main social climbing, egocentric, lying main character from the book. That says it all. Her fashion style is at times downright gross.